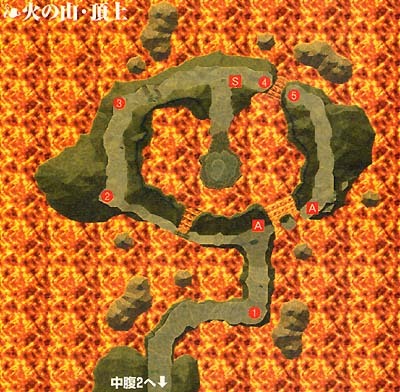 The level boss can be found at the very heart of the volcanoe. The level boss, Madragon, has an HP of 2150 and is composed of two parts - head and body. Fire spells (obviously) seem to do little damage though stuff like zap seems to affect him quite a bit. My strategy was to attack only the body and to use quite a lot of magic in combination with critical attacks. Gadwin's magic (though very powerful) seems to do little towards harming the boss and so I relied on his physical attacks while I used Justin's magic - mostly Zap and Zap All.